But what on earth is a “sugarplum?” Simply put, it’s an old fashioned candy made very simply out of dried fruits and nuts. If you’re looking for something fun to bring to a holiday party or a family dinner, give these a try. You won’t be disappointed! 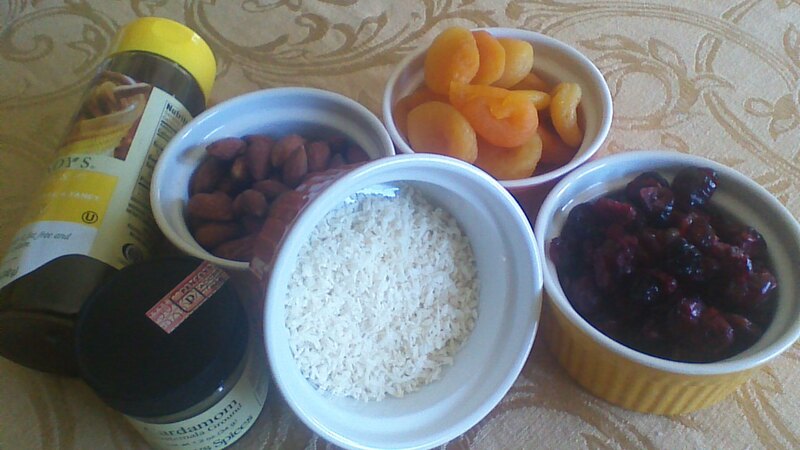 Step 1) Combine all dried fruit, nuts, and cardamom in a small blender or food processer and blend until smooth. 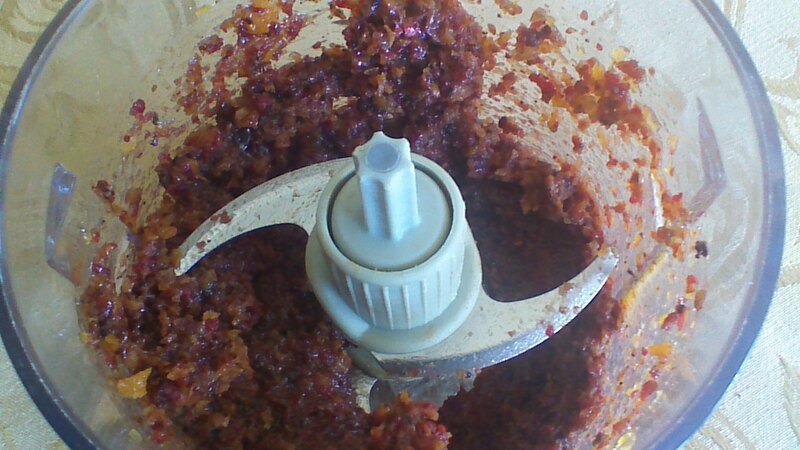 Step 2) Drizzle in honey and combine until mixture holds together. 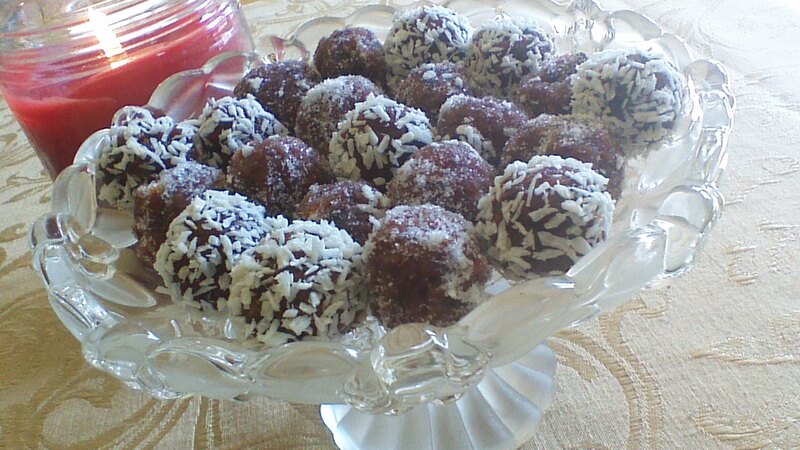 Step 3) Roll mixture into 1 inch balls, then roll in coconut or sugar to coat. Step 4) Let sugarplums sit out uncovered for several hours, to firm up a bit. Step 5) Sugarplums may be stored in an airtight container for one week, or frozen for one month. Are you entertaining folks on paleo diets? 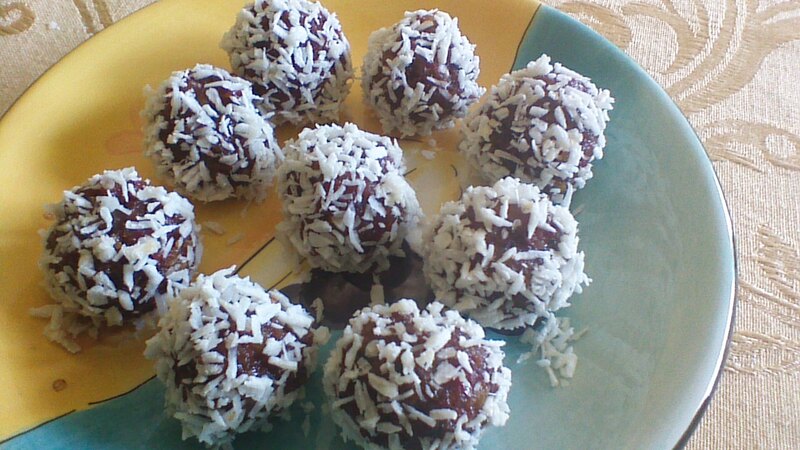 As long as you roll these in unsweetened coconut (no sugar crystals), sugarplums are a paleo treat! This entry was posted in Desserts, Fruits and Veggies, Uncategorized, Vegetarian and tagged baking, Candies, cookies, Food, Paleo. Bookmark the permalink. ← Give the Gift that Gives Back! How fun! I’ll bet little girls and boys would have lots of fun rolling the balls and dipping them!